Producer’s Notes Bengt Pedersen - "Pieces Of My Life"
Sometimes when an album I have produced has a strong effect on me I will try to take the time to write down my impressions of what each song means to me or any other thoughts I may have about the music. Not sure how much value that may have one way or the other but I like to think it may help the reviewers, DJ’s and fans that will be listening to the CD in the future have a little more insight as to how and maybe why each song turned out the way it did. The first thing I noticed about “Pieces Of My Life” after we finished it and listened to it as a completed work was that it sounded like an album should sound. The songs seemed to flow from one to the next like they actually belonged together and all of them were adding another little hint as to who the singer Bengt Pedersen was and what he was all about musically. This don’t always happen when you have songs as diverse as “Hey Porter” to “Seed Catalog”. At first thought you wouldn’t think they would belong together on the same album but as you listen to the album they seem to be as well matched as an old couple who have been married for years. You can’t think of one without the other. I don’t know that I can pick a favorite song from the album because every time I listen I decide I like another song best. I guess this is a sign that we just may have “Got it right” It sure sounds like it to me. 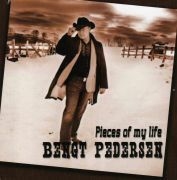 I know that they don’t normally sell CD’s with a “Money Back Guarantee” but after listening to “Pieces Of My Life” over and over I sure can’t hear any reason why Bengt would ever have to return anyone’s money no matter how many he sells. It is albums that turn out like this one that makes all those hours of searching for just the right songs as well as all the time spent in the studio getting everything to sound just right worthwhile and last but definitely not least I gotta say we had one of the best teams of musicians working on this project that you could ever ask for. All in all I can honestly say I could not be more proud to have my name on this CD of Bengt’s and It will always be a piece of my life. 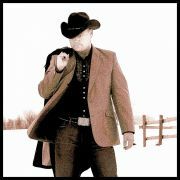 "All Nite Cafe" NR 3 on NCF Top 20 list, Country radio chart.